Hedberg Moving Solutions: Exclusive Offer: Free Moving Boxes! Exclusive Offer: Free Moving Boxes! The most critical thing to remember when purchasing/packing boxes is the heavier the item the smaller the box you will need. If you can remember this one simple rule packing yourself will be easy and safe. 1) Small boxes, also known as 1.5 cartons, are used for heavy or dense items including books, canned goods, small appliances and hand/power tools. 2) Medium boxes, also known as 3/0 cartons, are general purpose boxes that are typically used for toys, pots and pans, ect. 3) Large boxes, as known as 4.5 and 6 cartons, are used for light weight items such as lamp shades, pillows and bedding. 4) Dishpacks are specially made for transporting any dishes that might be in your kitchen. These are also available with cell dividers that make it easier to pack glassware. 5) Wardrobes are used for transporting your clothes, they are equipped with a bar so your clothes stay free of holes and wrinkles while you move. What planning your move? Take advantage of our Exclusive Offer, FREE Boxes with your move with Hedberg Moving Solutions. Visit our website www.hedbergmoving.com to schedule your Free in-home estimate today! Are you out of the relocation blues? Well, Dallas Moving Service will help you in making safe transportation, without making a hole in your pocket. If you are planning to vacate your office space for a few days to carry out renovation or retouch the wall paint, then can use the professional storage space to keep all your official belongings with complete safety. You can consult Paul Meyers for seeking more assistance. What a fantastic offer! Moving boxes always a pain to find and organise, at least around our house. Maybe we taking to using plastic moving boxes because they are usable but that doesn't fill all I need! Your offer of free moving boxes will help fill the gap! Sara Saeed Movers and Packers provides relocation services in Dubai and across UAE. We are one of the best house, office and furniture movers and packers Dubai services provider . Boxes with scotch for the move, it's all clear. Well, what to do next? Who will deliver you, because Your car can not cope with such a quantity of cargo, at once you can not take everything with you. My family and I were leaving the city, we did not know what to do with all our boxes, there were so many things that it was possible to build a whole house out of them. On the Internet, I found https://www.moveprola.com/glendale-movers/ . Not bad service, no damage on our stuff. We don't regret that we used it for our move to new house. I have been working with cheap movers from past few months and never heard about free moving boxes. Well it's a good technique to enhance your business and making it a success !! Use those wardrobe boxes that are hard and sturdy so that it will be easy for you to pack and move items safely. 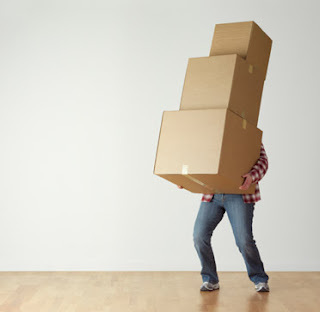 Many cheap moving companies doesn't offer best boxes so never compromise and use the best boxes. Summer Moving - Are there Advantages? Do’s and Don’ts of Lifting!